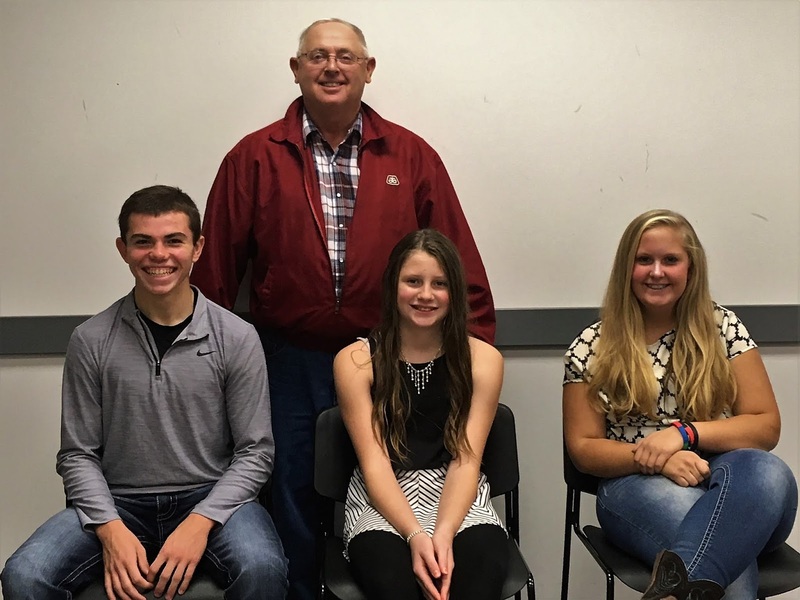 Greenville, Ohio – Darke County Farmers Union held their Fall Harvest meeting October 27, 2018 at the OSU Extension meeting room where they honored some of the 4H Youth that they supported during the livestock sales at the 2018 Great Darke County Fair. Pictured above seated (l-r): Ethan Fischer--Sheep, Faith Wooten—Swine, Adi Schmitz—Sheep. Standing at the back is Todd Rhoades—Darke County Farmers Union President.